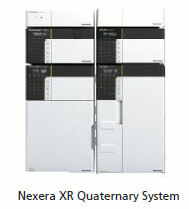 Designed to be compatible with general UHPLC systems, Nexera XR can be controlled from competing workstations, and can use methods created with competing systems. 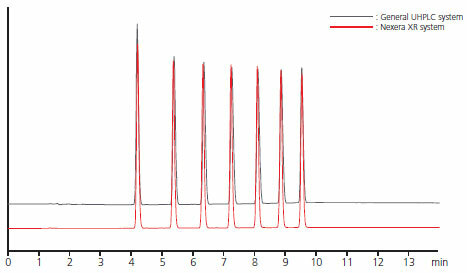 Baseline stability is affected by numerous factors, including the performance of the pump, oven, detector, and other components. By utilizing temperature-controlled detectors, the Nexera XR improves baseline stability for the system as a whole. With its 66 MPa pressure resistance, Nexera XR expands the scope of high-speed, high-resolution analysis. 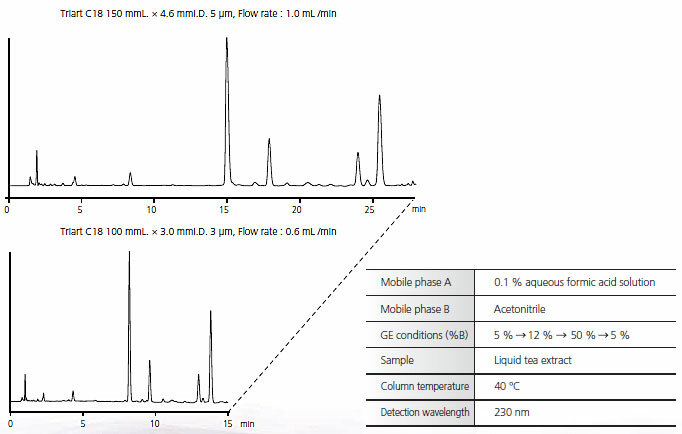 This may include analysis under room temperature conditions, improvement of separation using long columns, and the use of a water/methanol mobile phase. This system is equipped with a low-pressure gradient system recognized for its concentration accuracy. This high-pressure mixed system provides excellent gradient response. It can be configured as a quaternary system by adding a low-pressure gradient unit.